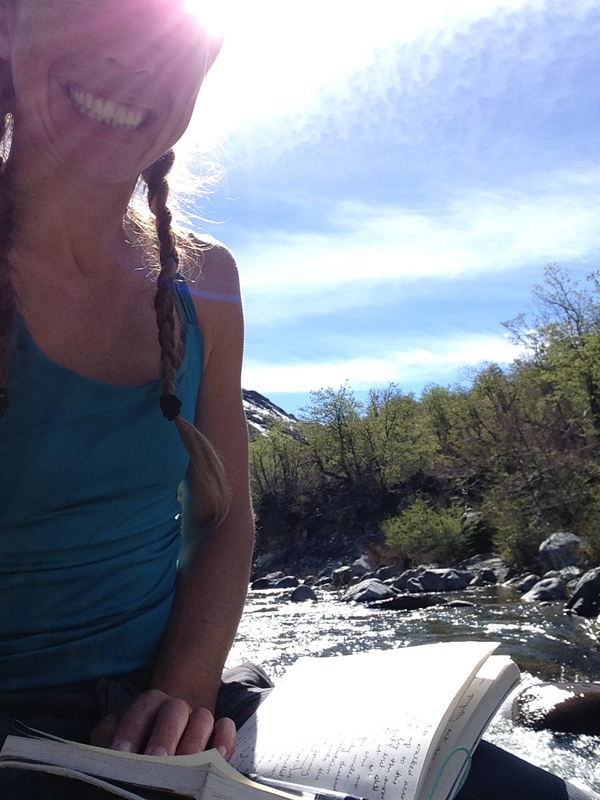 Taking a moment to smile, appreciate and document some of our adventures in the backcountry of Chile. What a day!! After several days in County Cork bouncing between hotels, pubs and business meetings, I found myself in Ireland with one day entirely to myself before I would catch my next flight on to Hong Kong. I woke up early, grabbing my carry-on bag, the keys to my rental car and a road map of Ireland. Once checked out of my hotel, I sat at a crossroads and considered consulting my map; instead, I decided randomly to turn left. What was left? I had no idea, but I knew I had one day and I wanted to spend it getting lost in one of my favorite places in the world. I managed to meander my way to the coast simply by choosing random lefts and rights along the way, my roadmap sitting untouched on the floor of the passenger side of the car. Oh the coast of Ireland, how this place makes my heart ache! It had first stolen my heart two years prior when I had been studying abroad there. Ireland was the first country I had ever visited outside of the USA, and my what a place to introduce me to the beauty that awaited on the other end of an overseas flight. Now as I sat again on the cliff’s edge, breathing deeply the crisp sea air, I marveled that I had managed to get back to this place that I loved so dearly without even trying. How funny that one of my biggest clients would be based in County Cork, and that it would be a business trip that would return me to this place I held so closely in my heart. The thought of all the random twists and turns of the past two years that brought me back here, similar to those random twists and turns that brought me to the very place I sat that day, triggered an uncontrollable grin. Eager to see what else could be discovered, I jumped back in my car, invigorated by the jewels I was finding simply by wandering aimlessly across the country. I completely disregarded my roadmap once again and instead drove north along the coast, now in search of some Irish fish and chips. I found my way back to the lovely Galway, one of my favorite cities in Ireland, and dug into by far the most delicious fish in chips I’d ever eaten as I sat at the edge of town beside the water’s edge. From Galway I hit the road again, heading a bit further north up the coast before deciding to wander inland a bit and cruise the country roads of middle Ireland, heading in the general southern direction so as to end up somewhere semi-close to Shannon airport from where my early morning flight would depart. The smile on my face just could not be undone, as I passed countless stone farm homes, pastures of sheep and horses, the only traffic to bother were the occasional herds crossing the road. As the sun began to set and evening descended, I decided it was time to finally consult that map and see where the nearest city or village was. Luckily I wasn’t too far from Ennis so I decided that would be my final destination where I would find a room for the night at a local pub. Considering I hadn’t intended to arrive here, I was delighted to find such a lovely little town overflowing with charm and an age that took one back to medieval times. As I sat at the bar in the pub enjoying a hot beef stew with mashed potatoes washed down with an incredibly delicious Guinness, I jotted down some favorite moments in my journal, smiling to myself with each little memory. I was approached by three very jovial flight attendants- Sara, Chris and Tony, from the USA who happened to be staying in Ennis as well before flying back to their Detroit base in the morning. We swapped stories of world travels, laughed a lot, and probably managed to sample all of the pubs in Ennis until the wee hours of the morning. As we parted ways and I gave everyone farewell hugs, Tony looked me straight in the eye and said, “Never stop smiling, your smile brings more light to others than you could ever imagine.” I smiled again, saying thanks and that I would always try to keep that in mind. The next morning I awoke with a start, frantically grabbing for my phone to check the time. Oh no!! It was 8:30!! My flight departed at 9:15…how on Earth was I going to make my flight? I shook my head as I quickly pulled all of my clothes into my bag and dashed down to reception to check out. Into the little rental I raced, stepping on the gas and willing my trusty car to get me to the airport in a mere 20 minutes rather than the 35 the innkeeper had estimated. Oh I couldn’t miss this flight! I had meetings lined up already in China, and was on a three week travel stint and oh how irresponsible of me if I screwed this up!! My heart was racing as I quickly tossed the keys of the rental car to the attendant and ran for security. I smiled at the security personnel, looking wildly disheveled, explaining that my flight left in 10 minutes and I had to run. The guard let me pass through the separate line for flight attendants- I smiled to myself remembering the fun I had with the crew last night and threw my bag on the conveyor. “Beep beep beep”…the security guard asked me to open my bag. Oh no I don’t have time! I thought nervously, quickly unzipping my carry on and finding that I had forgotten to separate my liquids and they were messily strewn about with my clothes. I hear my name being called over the loud speaker as a final departure call for my flight. I looked desperately at the guard and smiled, she simply said in a thick Irish accent, “Don’t worry love, RUN!” and smiled broadly. I grabbed my bag, zipping it as I ran, raced down the terminal to my gate where I found the door just being closed. “WAIT!! !” I desperately called ahead. The gate attendant looked at me, oh what a ridiculous sight I must have been, she smiled and picked up the phone, hanging up and opening the door to the jetway. Oh my God I had made it. I breathlessly thanked her a thousand times and ran onto the plane, apologizing for my lateness and quickly finding my seat. In all my travels, my smile has been a constant companion. And as I’ve gotten older, even more so. Not only does it physically make you happier when you smile, it is actually contagious, and inspires those around you to smile as well. My smile has brought some pretty wonderful people into my life, people who may not have approached me had I not been wearing it. It has also been a wonderful way for me to become more present and conscious of the experiences I am having. I think over the course of these past few weeks I have probably smiled hundreds of thousands of times….hopefully I’m getting closer to millions. I am constantly in awe by the beauty we discover at every turn, constantly in a state of gratitude for this journey I am blessed to be traveling, for all of the twists and turns in my life that have brought me to the very place I sit, and for the prospect of so much unknown opportunity awaiting on the horizon. I smile now as I relive that brief but hilarious moment in Ireland, and cherish the words that Tony left with me. I am sharing this smile all across Chile, and just as this country is inspiring light within me, I hope that my smile inspires light within others. We should all smile more, it’s good for ourselves and great for one another. If you don’t believe me, just listen to this fantastic gem about The Hidden Power of Smiling by Ron Gutman.